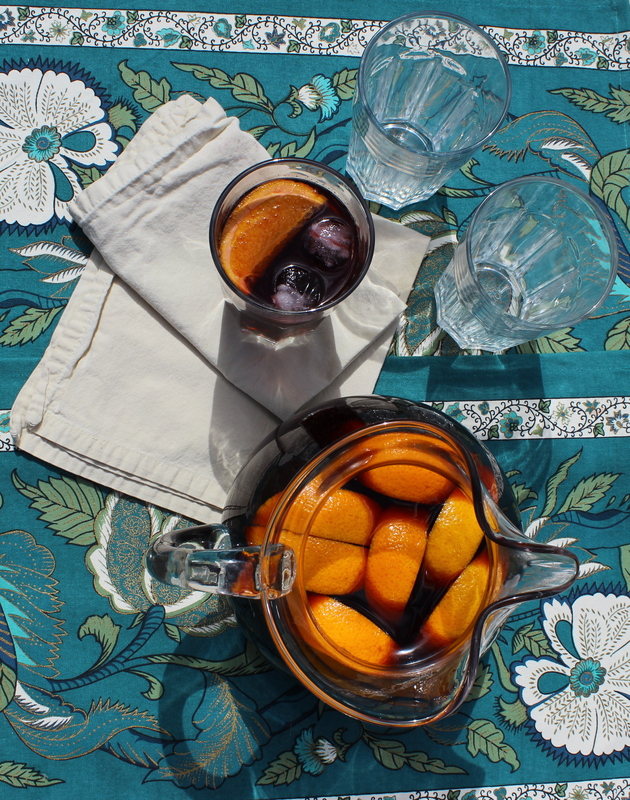 Sun’s out…so is the Sangria! 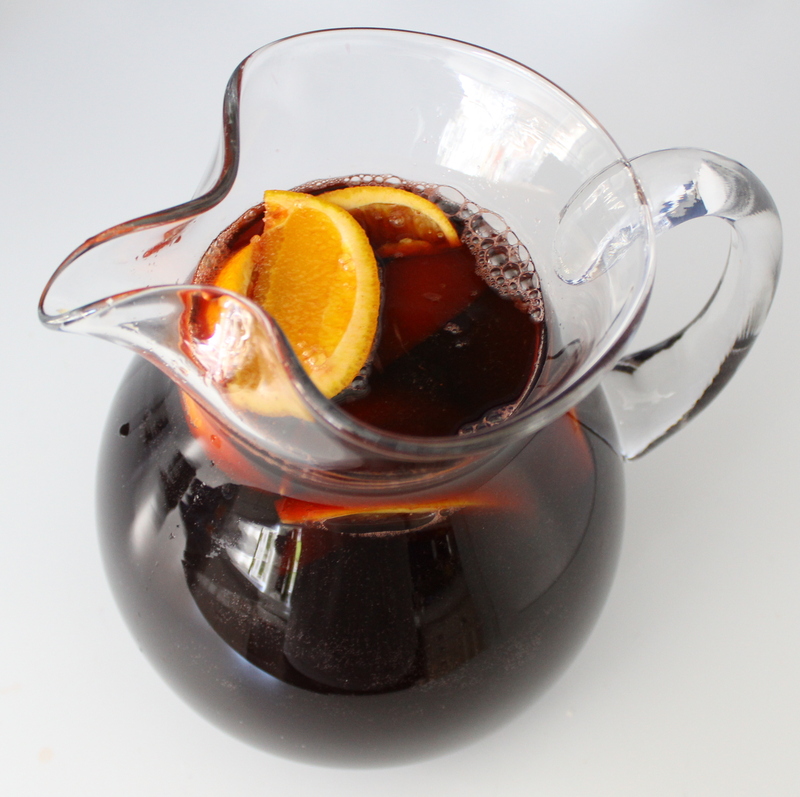 Now…I don’t want to toot my own horn, but I think that I make REALLY good Sangria! I’m slightly nervous my friends are going to read this and think to themselves, “really? !” But I think it’s true! And the best part is that it’s only 2 ingredients. 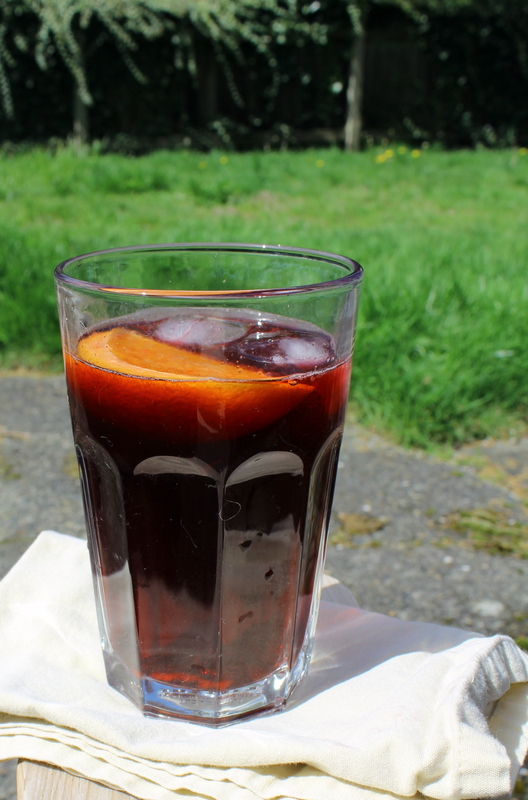 Red wine and Orange pop. I can’t believe I haven’t shared this! It’s been my go-to entertaining beverage for years. 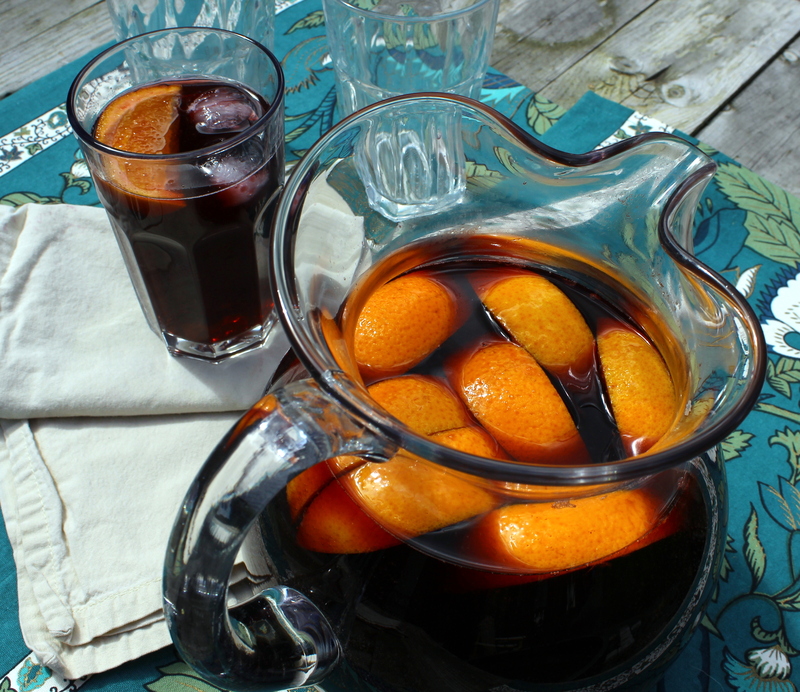 The first few times I made it, I used Orangina and decent wine. 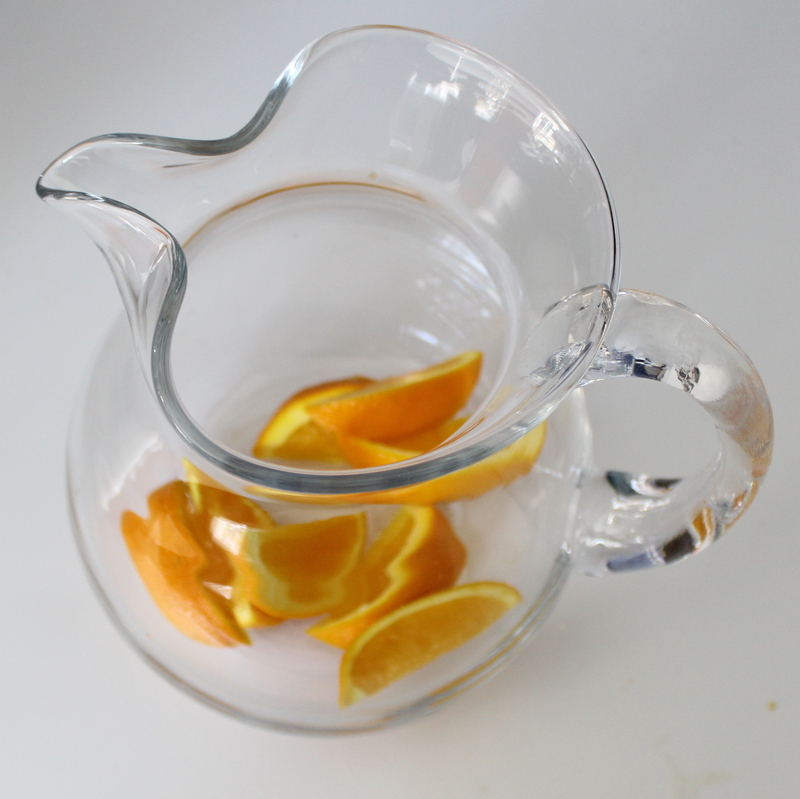 But each time I made it, I got cheaper and cheaper, the the result remained the same…glass after glass! 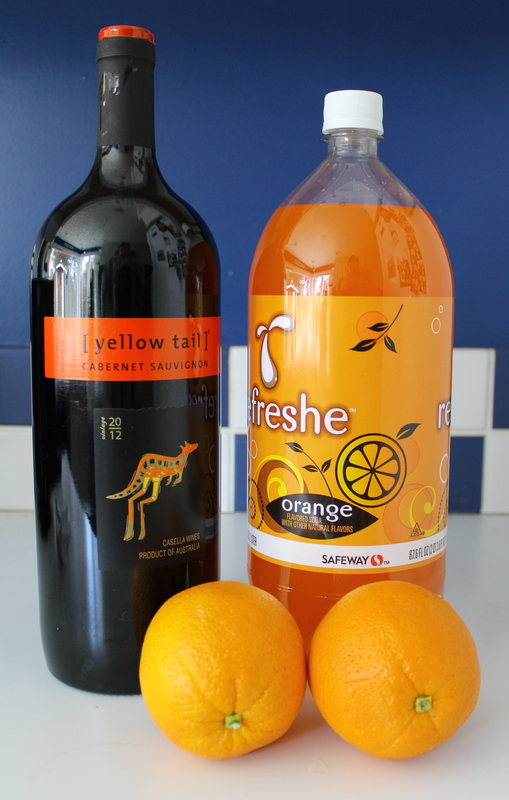 So now I use a 1.5L of cab sauv and a 2L or orange pop. I did try diet pop once, but wasn’t as good. I might try again to make it less sugary, but it seemed a little flat. This cost me less than $10. Oranges are extra. Not necessary, but adds a nice garnish. Depending on what I have on hand, or how fancy I want it to be :) I add limes, or lemons, really any fruit I have on hand. 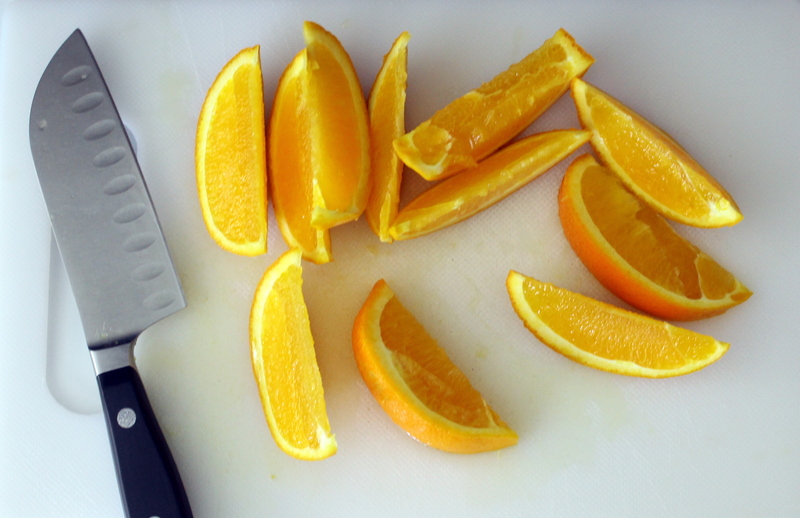 I also recommend, if time allows, slice up the fruit and throw into the freezer. The frozen ruit slices keep it cooler longer. The sun came out this weekend, so I couldn’t resist! Plus I happened to have a bowl of oranges! I also love to mix it in Jesse’s empty beer growlers, which are perfect for bringing to a friends BBQ! Drink up! And enjoy the sun!